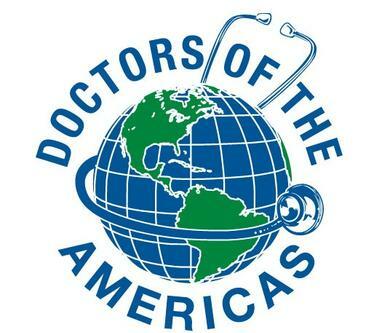 Misconduct Tavern is excited to host a special happy hour to benefit Doctors of the Americas on Thursday, July 20 from 5:00 to 9:00 pm at the Logan Square location, 1801 JFK Blvd. Dedicated to the healthcare of El Salvador’s most vulnerable indigenous people, Doctors of the Americas is preparing for their 12th trip in nearly 10 years. The evening will feature a silent auction, in addition to drink and bite specials. Guests will have a chance to taste a take on traditional Salvadoran dish, Pupusa ($5), a thick corn tortilla stuffed with cheese and pepperoni. One hundred percent of the silent auction proceeds will benefit the charity along with all proceeds of food and drink sales. Who doesn’t love great food for a great deal? University City Dining Days returns for another year of “3 courses, 3 prices” promotion that runs from July 13 to 23, 2017. Area restaurants offer a prix-fixe three-course dinner special for $15, $25, or $35. Here are our top picks for dining options! 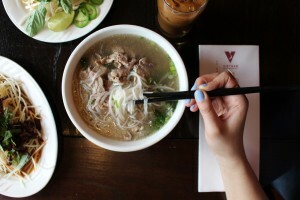 Vietnam Cafe offers their staples including crowd favorite crispy spring rolls, pho, and ice cream to top off the meal! For a mix of bar-friendly food, check out New Deck Tavern with cheesesteak egg rolls, Irish fish & chips, and buffalo chicken. A chain favorite Bobby’s Burger Palace offers a great deal with a burger, drink, and side special! City Tap House offers gastropub favorites like chorizo arancini, crab melt, and peanut butter- butter cake. Jose Garces’ Distrito has their classic carnitas tacos, mushroom huaraches, plantains, and churros on the menu. Check out classic brunch favorites such as avocado toast, summer tomato panzanella, and chicken enchiladas at Sabrina’s Cafe. The newly opened Co-op features crudite, cauliflower dukka, black sea bass, and a rotating selection of pies, icebox cakes, and ice cream. Stephen Starr’s’ Pod menu highlights include the Penn roll, robata grilled eggplant, New York strip, and miso fudge brownie. Check out White Dog Cafe’s menu with shrimp ceviche, seasonal berry salad, steak frites, and chocolate mousse parfait. For more information and the full list of participating restaurants, visit: https://www.universitycity.org/university-city-dining-days. Phillips Seafood Shack Now Open on AC Boardwalk! Phillips’ famous seafood is back on the Atlantic City Boardwalk! Their grand opening celebration was Friday, June 30, 2017 on the boards at The Pier at Caesars. The event was marked with a ribbon cutting and opening remarks from Mayor Donald Guardian and the Phillips family. Phillips Seafood Shack, on the Atlantic City Boardwalk, is only steps away from the beach. Phillips Seafood Shack features tastings from both land and sea, including some of your Phillips favorites like crab cakes, seafood soups, salt and pepper calamari, and lobster rolls. Dig into some more non-traditional Phillips items like the crispy chicken sandwich or foot long all beef hot dog. Cool down with some frozen lemonade or other fruity frozen drinks like passion fruit, peach, or mango. Phillips Seafood Shack is located on the boards at The Pier at Caesars, One Atlantic Ocean, Atlantic City, NJ 08401. They can be reached at 609-348-2862. Open Sunday through Thursday, 11 a.m. to 10 p.m. and Friday & Saturday 11 a.m. to 12 a.m. For more information on Phillips Seafood Shack or to view the menu, click here. Watch the video from SNJ Live for an inside look at the Grand Opening.